No place matches the breadth and depth of Mexican restaurants than Southern California, except Mexico City itself—and maybe not even there. 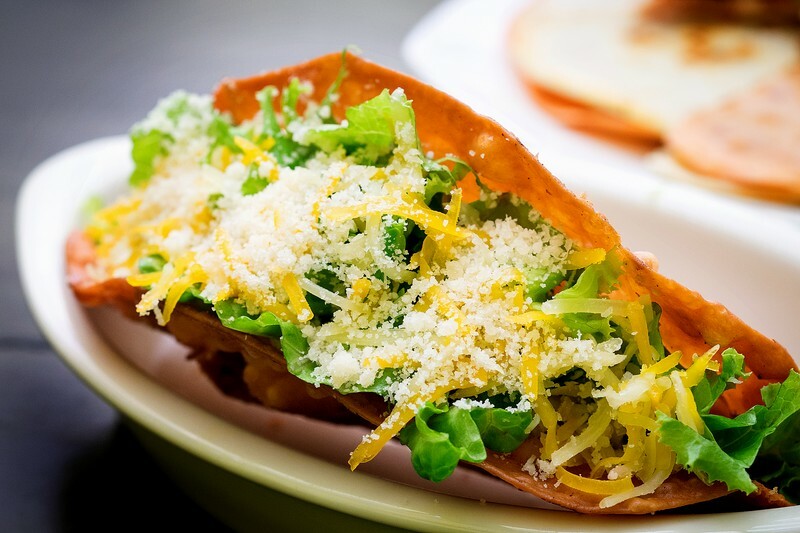 Diego’s Taco Shop (41/9 Co Giang, D1) was inspired by its namesake city—San Diego—in California where the owner was fortunate to grow up on Mexican food. Diego’s does a great job of mixing tradition with experimentation as well as altering recipes just enough to keep foreigners happy and to draw in Vietnamese clients. The tacos, and the rest of the menu, are reason enough to seek out the restaurant. 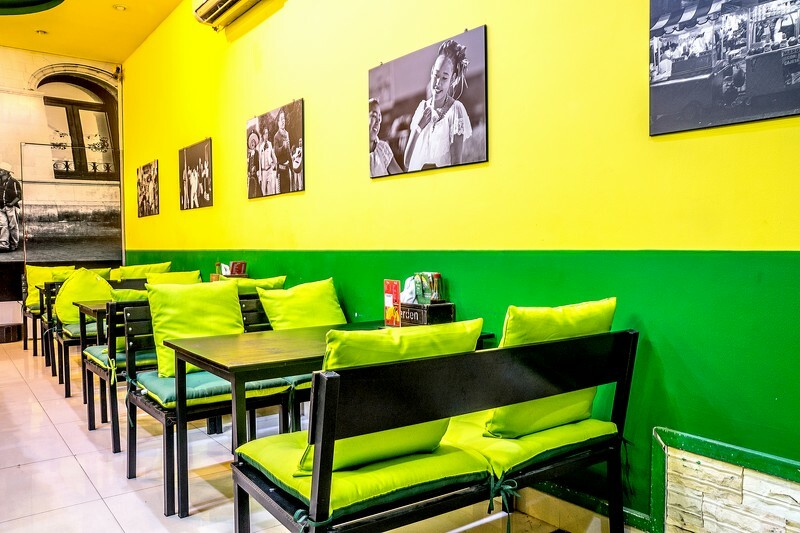 The lime green and yellow interior of this taqueria is striking and vibrant, loudly welcoming diners in. The service is California chill and ordering is uncomplicated. We start with some Soft shell fish tacos (VND35,000 each), which are exactly what you expect fish tacos to be: battered fried and served in a homemade taco then dipped in Diego’s special mustard-based house sauce—the result is a fiesta in your mouth. 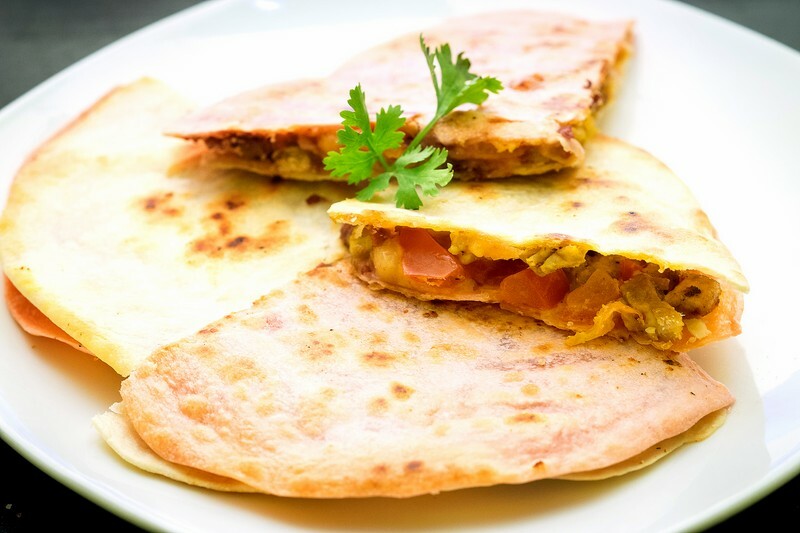 Naturally, we cannot resist eating on the wild side and order a Hard shell ostrich taco (VND45,000); it is perfectly crunchy and exotic with a slight gamey taste that was delicious. 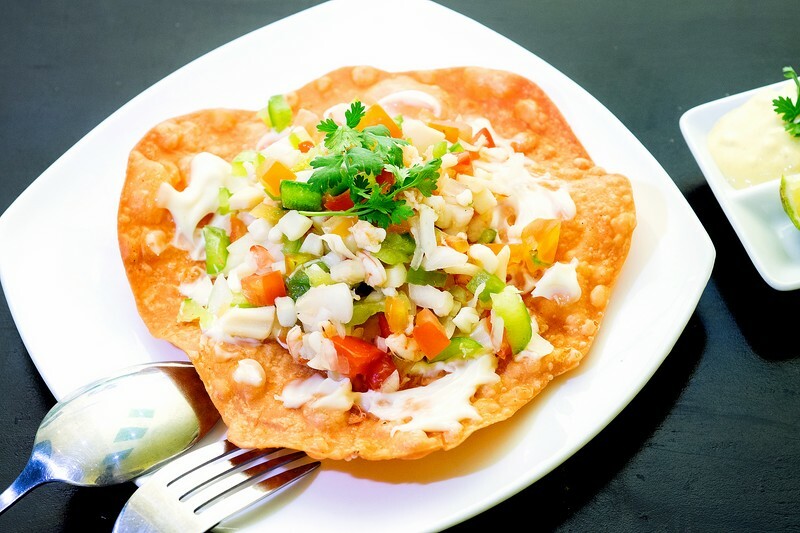 From there we move on to the Sunset ceviche (VND55,000), a Latin American staple that varies from country to country. The Mexican version takes raw fish, cures it for about an hour in lemon juice then served with chips, onions and peppers. Diego’s artfully mixed the fish with cured squid and serves it on a large deep fried tortilla. Off all the ceviches I’d had outside the US (and there have been many), this one is the best. 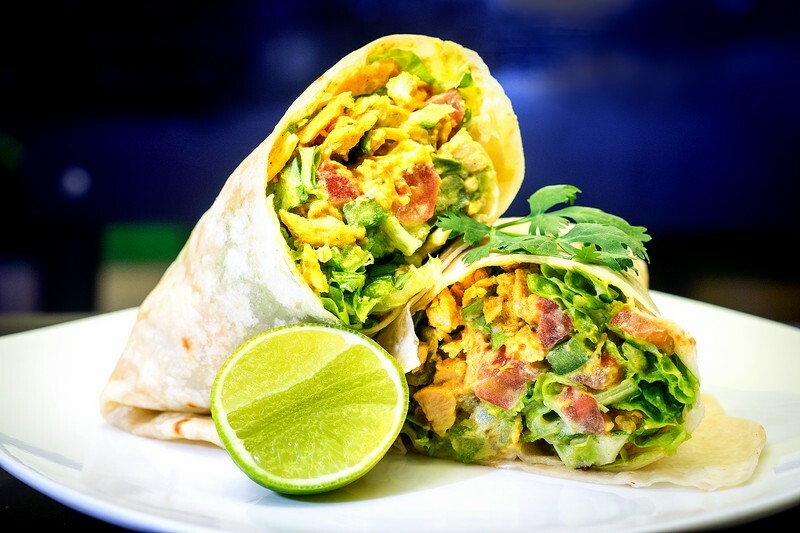 Of course, I can’t go to a Mexican restaurant without ordering my all-time favorite Carne asada burrito (VND99,000); served with lettuce, sour cream, guacamole and homemade tortilla wrap, it was spectacular. 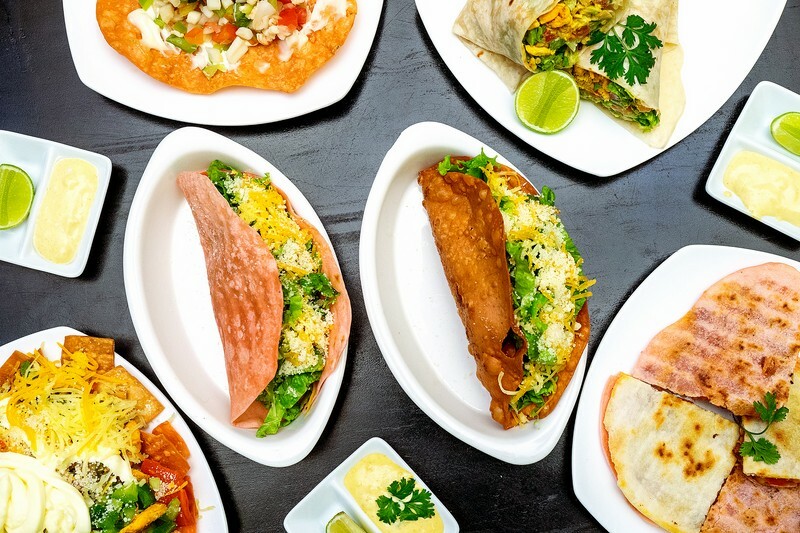 With the flavors of Mexico on our taste buds we continue to order more to keep the fiesta going. 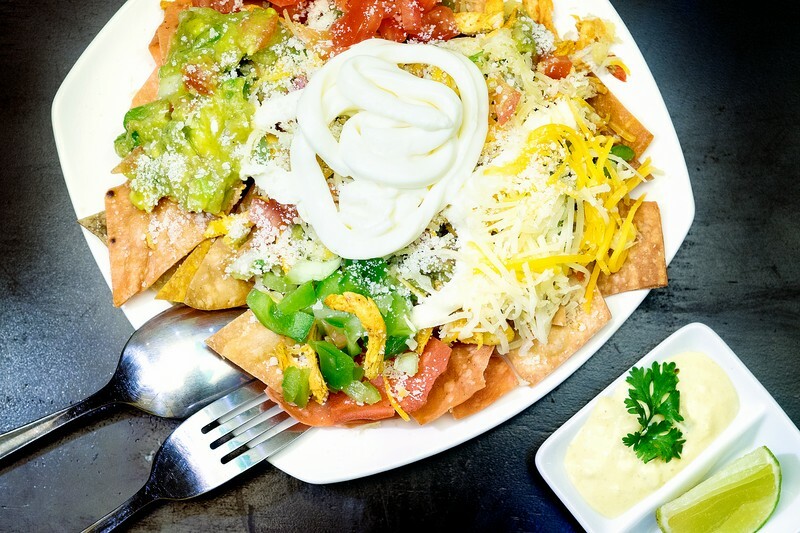 The Shredded marinated pork nachos (VND119,000), served with cheddar cheese, guacamole and homemade chips did not disappoint. We refresh with one of my all-time favorite drinks, Horchata (VND35,000), a traditional Mexican drink made of blended rice, almonds and cinnamon. 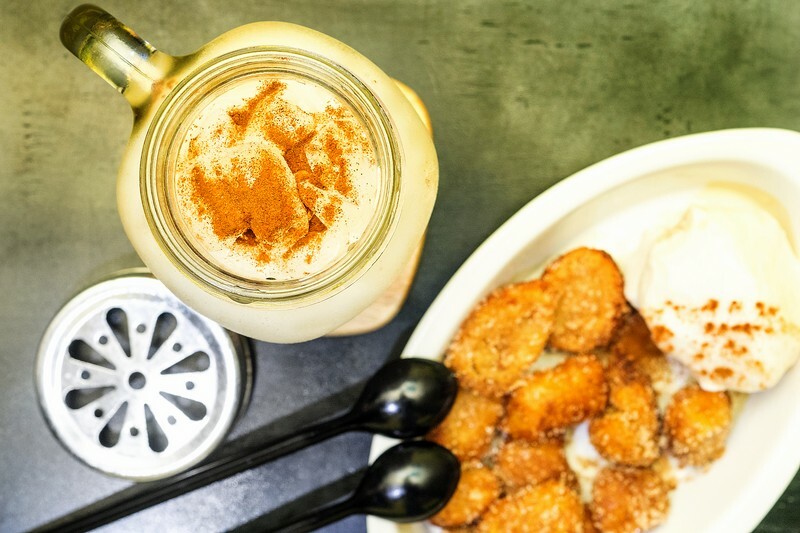 Diego’s in-house version was creamy with a note of cinnamon that is pure bliss in a glass. We round off the savory part of our meal with semi-fiery Pedro’s poppers (VND59,000). A plate of deep-fried whole green peppers stuffed with sour cream with just the right amount of heat that we cannot resist asking the waiter for another order. And now for the quintessential Mexican sweet-fried churros with ice cream (VND37,000) for dessert. Diego’s puts an unforgettably decadent twist on this long golden brown dough pastry: diamond shaped churros deep fried and sprinkled with cinnamon, sugar and accompanied with a scoop of vanilla ice cream. It’s an absolutely delicious ending to our evening out.